Yes, if i trusted him enough. Yes, because i know he'd do the same back. I have no guys on my mind at the moment. Never really thought of who i would lose it to. Hopefully a slow song will come on. In a hotel, while we're on holiday together. Ever wonder where you would lose your virginity. Go to the beach for a day, and take a long moonlit walk at the end. 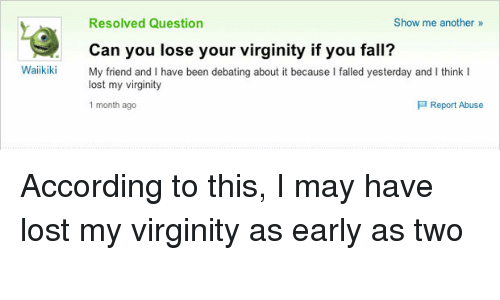 What do i say about this, its about where you lose your virginity and obviously its just some silly fun.